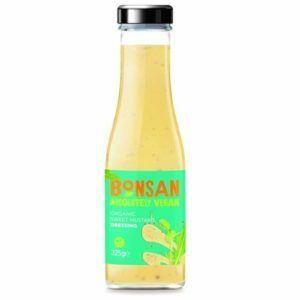 Green Harissa is an incredibly versatile hot paste of Green Chillies, Coriander, Garlic & Cumin - from an original Middle Eastern recipe. 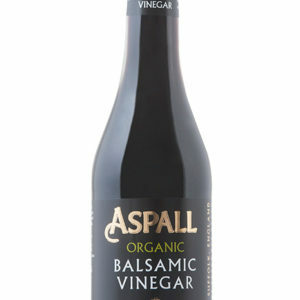 Keep a jar in your fridge to add a bit of zing to any number of recipes! 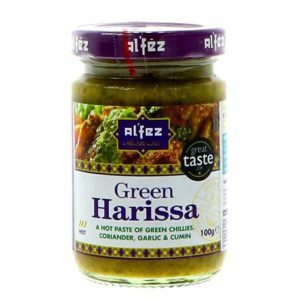 Al'Fez is the leading Moroccan & Middle Eastern foods brand - offering a wide range of vegetarian, authentic and tasty ingredients; all attractively presented and which help you to experience the amazing flavours of these cuisines. 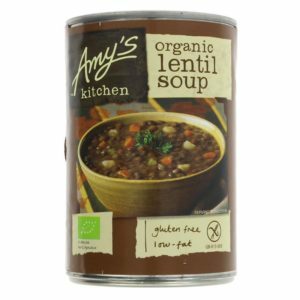 This product is Gluten Free and Vegan. 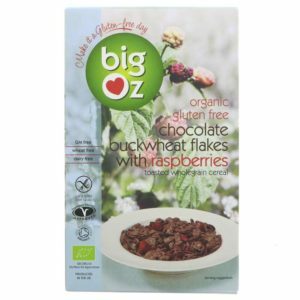 Big Oz Organic Chocolate Buckwheat Flakes with Raspberries are suitable for: Coeliacs, Vegetarians, Dairy free diets, Gluten and wheat free diets. 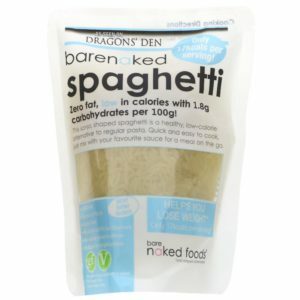 A really tasty and filling breakfast cereal or snack. 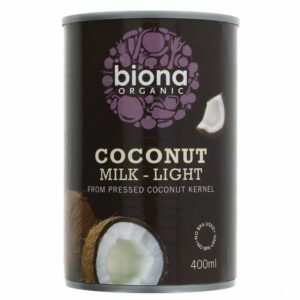 We love this cereal with the super tasty raspberry pieces and chocolate flakes. 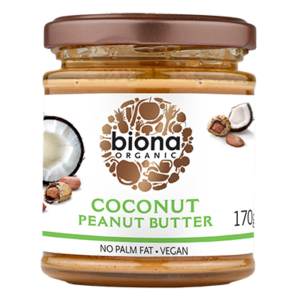 Highly recommended as a tasty treat or every day snack.